Festival of South African Dance, an internationally renowned performance, is coming to State Theatre New Jersey and you can catch them here on October 7! Through various forms of dance the group coveys several cultural themes that represent them and their heritage. The Festival of South African Dance has two components to it: the Real Actions Pantsula and the Stimela “The Gumboot” Musical. The Real Actions Pantsula was formed in 1992 by Sello Reuben Modiga after recognizing the dance talent of some teens in a small South African town outside Johannesburg. His aim when forming the group was to get the youth of the town and surrounding towns off the streets and give them an opportunity to escape the damaging influence of their community. The group believes that their passion for dance will have a positive impact on their community by reviving the spirit of “Ubuntu” or humanity. Sello’s goal appears to have succeeded because they have been running for 25 years and have taken dozens of teens and given them a better chance at a brighter future. The choreography of the dance consists of fast, syncopated stepping, and is usually set to modern pop, techno, or deep house music. These dance moves have a general political theme to them regarding speaking out against the Apartheid government or the socio-economic injustice in South Africa. Stimela “The Gumboot” Musical is written and directed by Thapelop Gordon Motluong. The production, which is told through narration, music, and Gumboot dance, tells a story of rural African men who came from various backgrounds to Johannesburg. Together the group endures harsh working conditions in the gold mines so they can send money home to their family. While depicting these men’s lives, the musical also discusses and integrates the history of Gumboot dancing. Their dance consists of using body movements similar to that which their ancestors used in the 1880’s when the miners were trying to communicate using their leg chains. 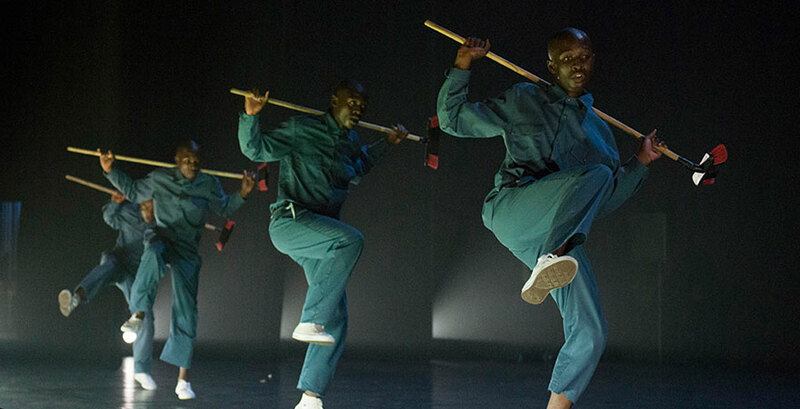 Today this production and dance stands as a strong symbol of their South African history and culture. Don’t miss your chance to see Festival of South African Dance at State Theatre New Jersey on Sat, October 7 at 8pm, an evening that is sure to keep you dancing the whole night long!